H-E-B Center at Cedar Park is the home of the NBA G League Austin Spurs, the league affiliate for the San Antonio Spurs. The former NBA Development League is now officially the NBA G League as part of a partnership with Gatorade. The Austin Spurs, presented by SWBC will celebrate their 14th season starting in November. The Austin Spurs finished the 2017-18 season as G League Champions, tied for a league-high 32-18 (.640) record … the Spurs went undefeated in the postseason and guard Nick Johnson was named Finals MVP as the Spurs earned the franchise’s second championship … the team was led by first-year head coach Blake Ahearn, along with assistant coaches Mitch Johnson, James Singleton and Peter Bozic … several San Antonio Spurs assignees contributed to Austin’s success during the season, including San Antonio’s 2017 first round draft pick Derrick White, Brandon Paul and Davis Bertans … forward Jaron Blossomgame was named to the All-NBA G League Third Team while center Amida Brimah was honored with an All-Defensive Team selection … two-way player Darrun Hilliard led Austin in points and assists, averaging 20.7 points and 3.8 assists per game in 28.4 minutes in 31 games played ... Brimah led the team and the league in blocks per game with 2.60 while two-way player Matt Costello ranked third in the league with 2.20 blocks per game. Twenty eight Austin Spurs players have earned Gatorade Call-Ups to the NBA and three head coaches have been promoted to NBA coaching positions (Quin Snyder, Brad Jones, Taylor Jenkins). 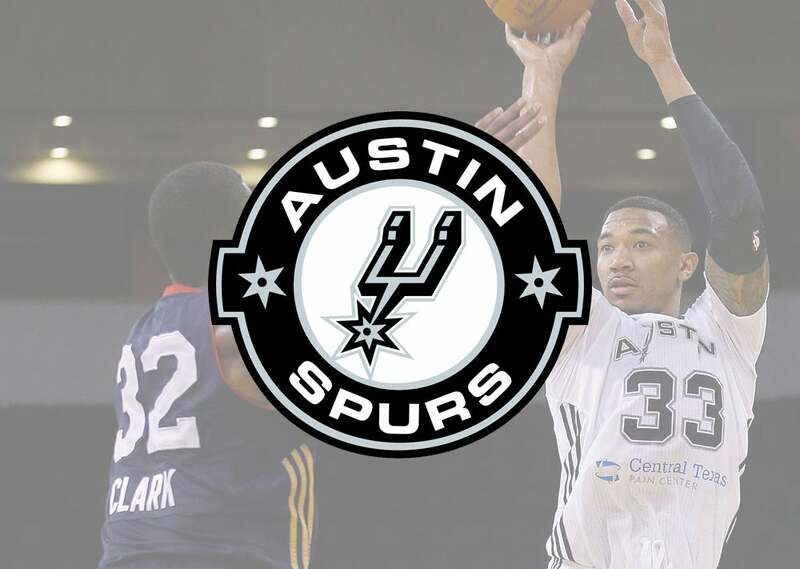 The Austin Spurs have advanced to postseason play in ten of 13 seasons in Austin, winning five division championships, the 2012 NBA D-League Championship title and the inaugural 2018 G League championship. Season ticket packages are available now by calling (512) 236-8333 or visiting www.austinspurs.com. The NBA’s official minor league, the NBA G League, prepares players, coaches, officials, trainers and front-office staff for the NBA while acting as the league’s research and development laboratory. Featuring 27 teams with direct affiliations with NBA franchises for the 2018-19 season, the league offers elite professional basketball at an affordable price in a fun, family-friendly atmosphere. An all-time high 53 percent of all NBA players at the end of the 2017-18 season boasted NBA G League experience. In fostering the league’s connection to the community, its teams, players and staff promote health and wellness, support local needs and interests, and assist in educational development through NBA Cares programs. NBA G League games are available on Facebook as well as ESPN’s family of networks and NBA TV.